1,4-Dioxane is a clear liquid that easily dissolves in water. It is used primarily as a solvent in the manufacture of chemicals and as a laboratory reagent. 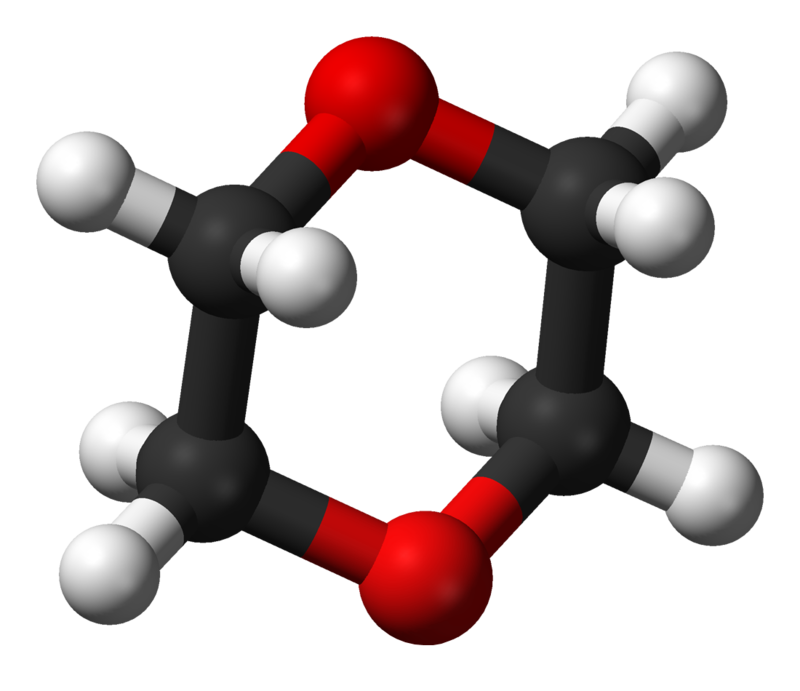 1,4-dioxane is a trace contaminant of some chemicals used in cosmetics, detergents, and shampoos. It is commonly found where chlorinated solvents are produced. 1,4-dioxane has been found in at least 31 of 1,689 National Priorities List (NPL) sites identified by the Environmental Protection Agency (EPA). The U.S. Department of Health and Human Services (DHHS) considers 1,4-dioxane as reasonably anticipated to be a human carcinogen. In Air - 1,4-dioxane rapidly breaks down into different compounds. In Water - 1,4-dioxane is stable and does not break down. In Soil - 1,4-dioxane does not adhere to soil particles, so it can move from soil into groundwater. Fish and Plants - will not accumulate 1,4-dioxane in their tissues. For many years it was under reported because analytical technologies used to analyze soil and water matrices were inadequate to determine 1,4-dioxane’s presence in the environment. ESC Lab Sciences has developed specialized analyses to accurately identify and quantify 1,4-Dioxane in air, soil and water through Gas Chromatography/Mass Spectrometry. 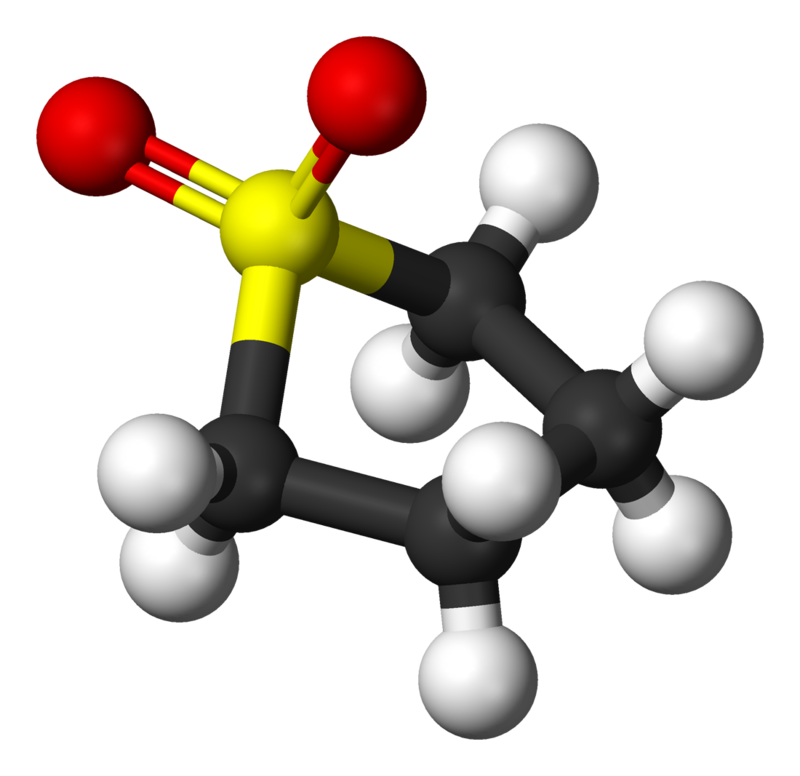 Sulfolane is a readily available commodity chemical. The most common uses of sulfolane are in aromatics extraction in the oil refining process and CO2 extraction in the natural gas sweetening process. Sulfolane is an organosulfur compound that is readily soluble in water. In pure form sulfolane is a clear, colorless liquid that is heavier than water. Sulfolane does not volatilize from water or soil, nor does it readily adsorb to organic matter. The primary attenuation mechanism appears to be biodegradation in an aerobic environment. Research suggests that sulfolane is present in industrial wastewater from refineries and gas processing facilities at approximately 10 ppm or less (Chou 1983). Sulfolane concentrations in wastewater are generally able to be treated by activated sludge in biotreaters through on-site industrial wastewater treatment systems. Internationally - Environment Canada is the most progressive regulatory authority in establishing environmental quality guidelines for sulfolane contaminated soil and groundwater. Nationally - The U.S Environmental Protection Agency does not regulate sulfolane, nor is the transportation of sulfolane regulated as a hazardous material or dangerous goods in the United States. Texas is the only state that has established maximum contaminant levels (MCLs) for sulfolane. ESC Lab Sciences has developed an effective Specialized Analytical Solution (SAS) to detect sulfolane in soil and water using Gas Chromatography/Mass Spectrometry. This specialized analysis yields effective detection limits to determine sulfolane contamination in soils and groundwater. Contact us about Organic Chemistry for more information!